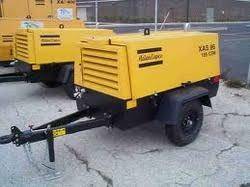 Leading Manufacturer of 450-150 screw air compressor spare parts, elgi diesel air compressors spare parts, diesel engine compressor spare parts, diesel driven compressor spare parts, 300-150 diesel air compressor parts and 400-100 diesel air compressor parts from Chennai. 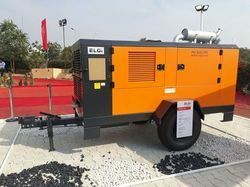 Elgi Diesel Power Screw Air Compressor Model PG450-150, 450 cfm( 12.74 m3/min) , 150 psi ( 10.5 kg/cm2 , 10.5 bar) powered with cummins 6BTA 169hp engine. 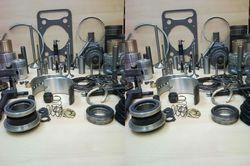 Low on maintainance, on time service, best quality product. 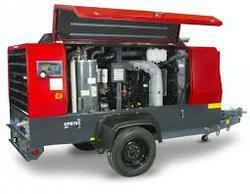 We are actively engaged in offering the high quality assortment of Screw Compressor Spares. Offered product is provided in various customized options and specifications to meet the needs of our valued clients. These products are made using superior quality raw material and latest methods of production. Along with that, these products are manufactured under the guidance of highly skilled quality experts and easily available at market leading prices. 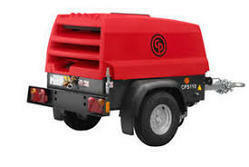 Elgi - 450/150, 475/150, 750/150, 800/200 ,900/200, 1100/300.Air Compressors & K P C. 450/150, 650/150, 750/150, 750/175, 800/200, 900/200, & Atlas, I R ( innersolland ), C P (chicago pneumatic ) Air compressors Cummins engine spares ,Air Filter, Air Oil Separator, Engine oil, Compressors oil, Hydraulic oil. We are pioneer supplier of 100% After market Air Oil Filters for Venus screw compressors with OEM Type quality and very much competitive price. 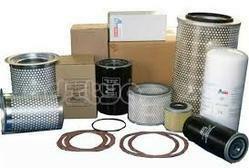 Mostly all the fast consuming Air Filters, Oil filters and Air Oil Separators are available with us in ready stock. 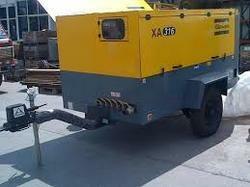 We offers a wide range of replacement screw compressor filter, which is equivalent to oem quality. Our expertise also lies in providing the clients with a wide assortment of screw compressor filters, which is manufactured using high grade filtration materials.